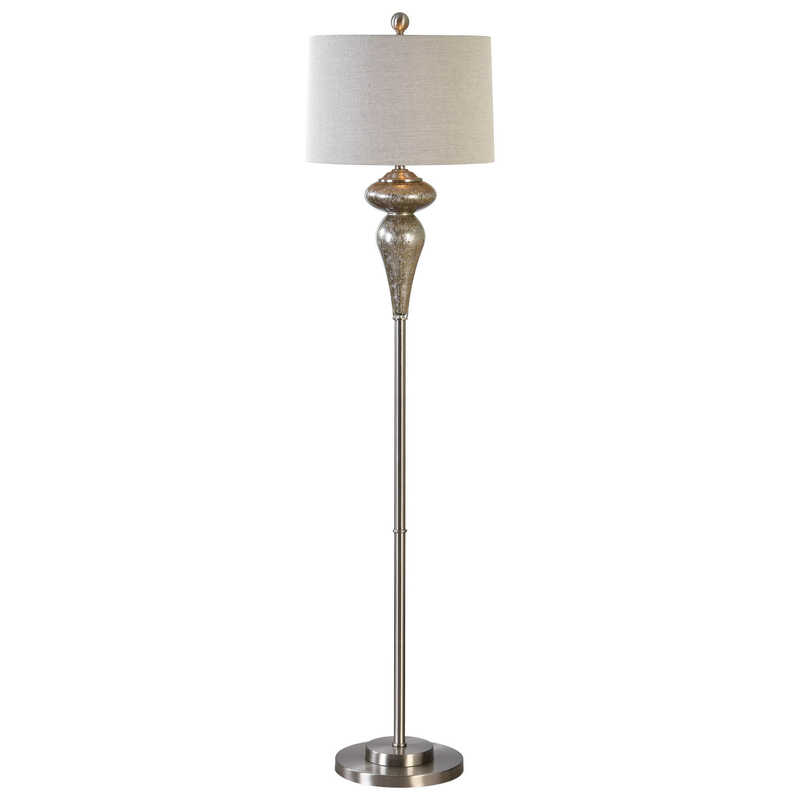 Smoked mercury glass accented with brushed nickel metal details. 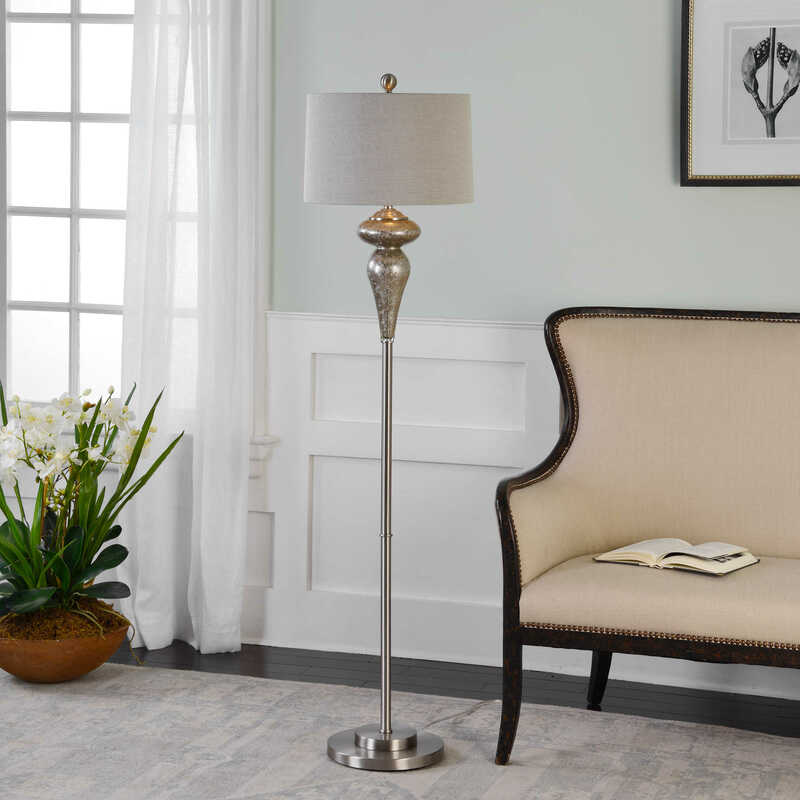 The slightly tapered round hardback shade is a light beige linen fabric. Packed 2 per box but priced individually.